Vectr is a free graphics software used to create vector graphics easily and intuitively. It’s a simple yet powerful web and desktop cross-platform tool to bring your designs into reality. Furthermore, with its easy-to-use user interface, anyone can unleash their creativity as an illustrator or graphic designer. 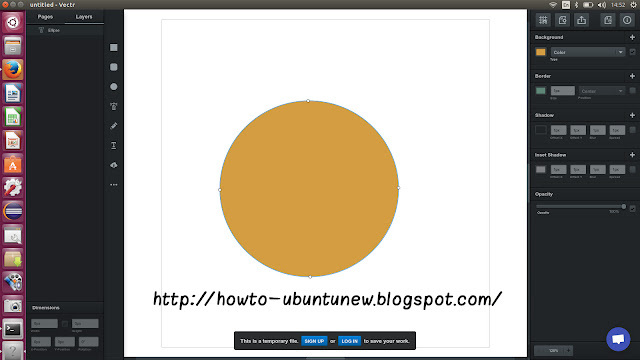 Before we proceed on how to install vectr on Ubuntu, lets take a quick look at its features. Several fixes to importing external SVGs: now SVGs import even more smoothly, we are working hard making our engine work better and better. Various improvements to pen tool performance and path improvements. Better snapping and guideline drawing when inserting new objects. We are continuing to work on snapping, your feedback is much appreciated here! Be sure to reach out via support window and let us know what you think. New users now automatically get the temporary design they were editing added to their new account once they register.